Firefox is one of the many alternative browsers for Android devices available on the Google Play Store. It’s a favorite of many, especially the privacy-conscious. On Android, though, it has entered a maintenance phase, meaning there are not going to be many updates for the foreseeable future—barring bug fixes and security updates of course. According to Emily Kager, Mobile Engineer at Mozilla, there’s still a lot to look forward to. What does this mean? Well, those who use Firefox for its privacy and security have nothing to worry about. The browser will still get security updates and bug fixes. Maintenance mode just means that there will be no more new features until a later date. So where are Mozilla’s development efforts going to? Mozilla may be working on an entirely new browser based on the open-source Android Components. Android Components is a collection of Android libraries that can be used to build browsers or browser-like applications. 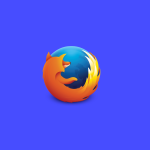 Mozilla could use it for all of their browser projects on Android including Firefox Focus/Firefox Klar, Firefox Rocket, and other apps such as Firefox for Fire TV or Firefox Reality. This may have a number of unforeseen ramifications for Mozilla’s browser, though. That’s not to say that there is anything wrong with still using the browser, but users may feel slightly deterred from continuing to use it. With at least a few months ahead of no feature updates, some users may switch to open-source Chromium-based browsers like Bromite or Kiwi. We’ll see what comes of the new browser because it could be worth the wait.